The South is starting to push for the design and build of the biggest indoor skatepark in the UK. The town of Romsey in Hampshire is the location for the park which would include street, bowls, vert, banks and pools if the project gets the green light it needs to progress. 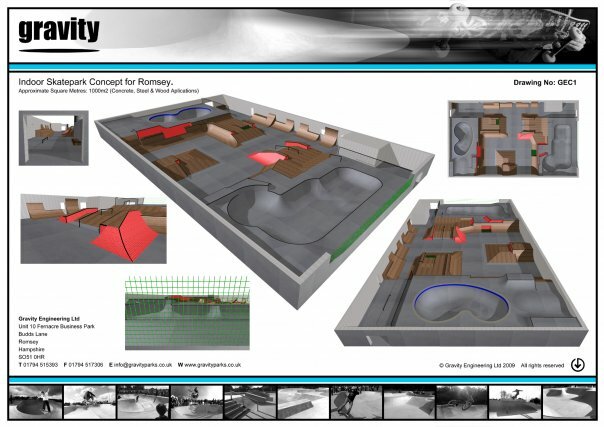 The plans below are said to be only a quarter of the size of the overall design and with the South of England seriously lacking in indoor skateparks overall, let alone having a world class facility this concept created by the guys at Gravity has our 100% support and will hopefully get yours today too. 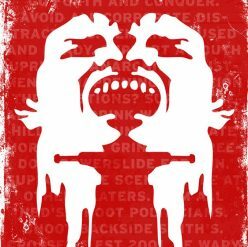 You can help this cause by joining the 7 Southern Districts Skatepark Facebook Page as the more people that back the project, the more likely local councils will see that public interest is high. Richard Bartlett from Gravity Parks who is behind the overall pitch says that ‘The only way that this can be funded is if 7 different District Councils are involved in the investment of the project. The final design will be released either on the 15th February 2010 or when we hit 4000 Members whichever comes first.’ Join the petition today wherever you are from as one day you may be able to get a train down to this and enjoy riding this park yourself.